Another fabulous blogger is turning a year older today. She is none other than the morena but beautiful Marce Liz. 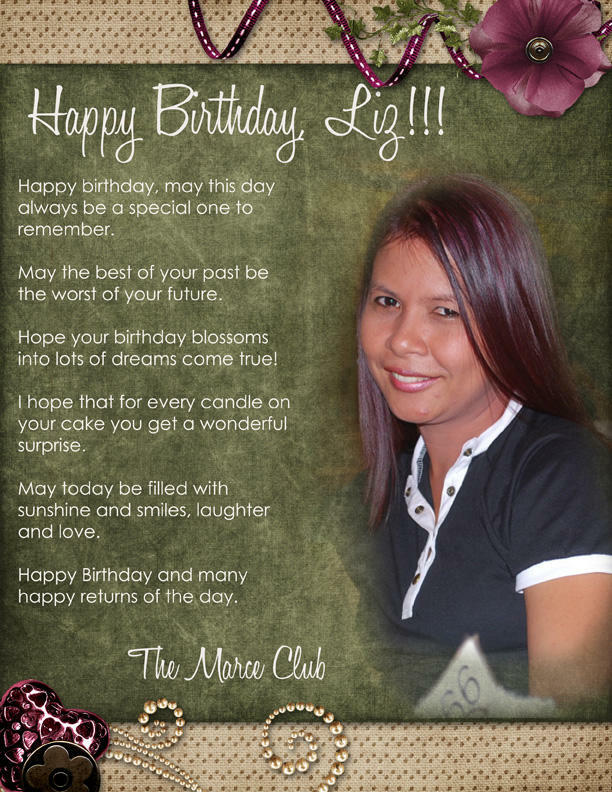 Visit her blogs and leave her your wonderful birthday messages. I know it's an April Fool's Day but this one is for real! 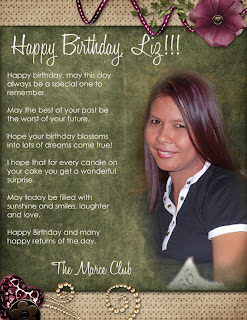 Happy Birthday Marce Liz! God bless you always! Stay Happy. Stay Healthy. Stay In-Love. Stay Sane. Marce, thanks so much for the post, I love it. Kahit di pa tayo nagkikita, para na tayogn close..Si Sati ang naging daan para tayo maging magkukumare. I appreciate it Mare ko, next time, chat tayo ng mas mahaba...Mwahhhh!